What Is the Best Way to Soundproof a Basement Ceiling? Sound travels in waves as particles push each other from one location to the next. Sound travels fastest through air, but can also travel through solids, liquid or gas. Soundproofing a basement ceiling involves blocking or redirecting the sound waves. Determine the quality and type of ceiling. Sound travels best through air, and even a small gap allows sound to escape. Replacing the ceiling with taped, painted drywall minimizes these air gaps. Do not add soundproofing foam above the ceiling, as it is nothing more than glorified insulation. Add resilient channel, which looks like a sheet-metal trough and fastens to the bottom of floor joists acting as drywall support. Resilient channel minimizes sound transmission by reducing the physical contact between the drywall and floor frame. 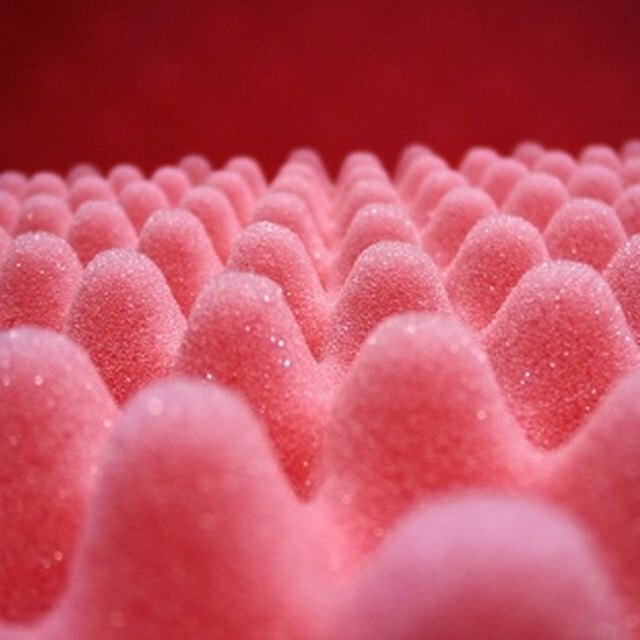 There are numerous quality soundproofing materials. For better results, add the material of your choice to both sides of the ceiling (ie, facing the room and facing the floor above). Some materials, like mass loaded vinyl (MLV) work well under the carpet of the floor above the basement. MLV looks like thick carpet and works equally well to soundproof walls and floors, giving a uniform appearance to the room. MLV should be nailed through the drywall to the beams and caulked along the ceiling with all seams taped. Budget-friendly material like used carpeting will dampen sound, but not eliminate it. Thick rubber mats, fiberglass sheeting and other flat soundproofing materials may be too heavy or cumbersome to apply directly to the ceiling. These products can be used under carpet on the floor above the basement or in the open space between the ceiling and floor. Sound leakage is the hardest thing to control in an existing room. Creating a room within a room allows greater control over the materials used. Essentially, this creates a room-sized box dedicated to reducing sound. The ceiling no longer supports the floor above, so it can be dedicated to soundproofing. More soundproof options, like fiberglass sheeting, could be used for the ceiling in this scenario. The addition of electrical wiring makes this a difficult project, requiring professional skill. Any light fixtures, ceiling fans or other items in the ceiling create a challenge when soundproofing. Remove ceiling fans and consider other sources of light. A tight seal is important for keeping sound from traveling. Remember that any flat surface will increase the movement of sound waves. Soundproofing only the ceiling may not be enough to achieve the desired atmosphere. Tell Me Why: How Does Sound Travel?